After losing his job as the office manager of a medical practice in fall 2015, Westmoreland County’s Jerry Krajci decided to switch to a career he knew almost nothing about: advanced manufacturing. Krajci, then 36, didn’t know much about being a machinist — except that he’d be in high demand if he became one. Within the next decade, more than a quarter of the Pittsburgh region’s precision machinists are expected to retire, industry projections show. The Penn State business graduate turned to the University of Pittsburgh’s Manufacturing Assistance Center , known as MAC, for training. “Everything in the classes that I took was brand-new to me,” said Krajci of Lower Burrell, who landed a job at Ultra Precision in Freeport, Butler County, a month after completing his training at Pitt’s Applied Research Center in Harmar. The Harmar facility housed MAC since 1994. 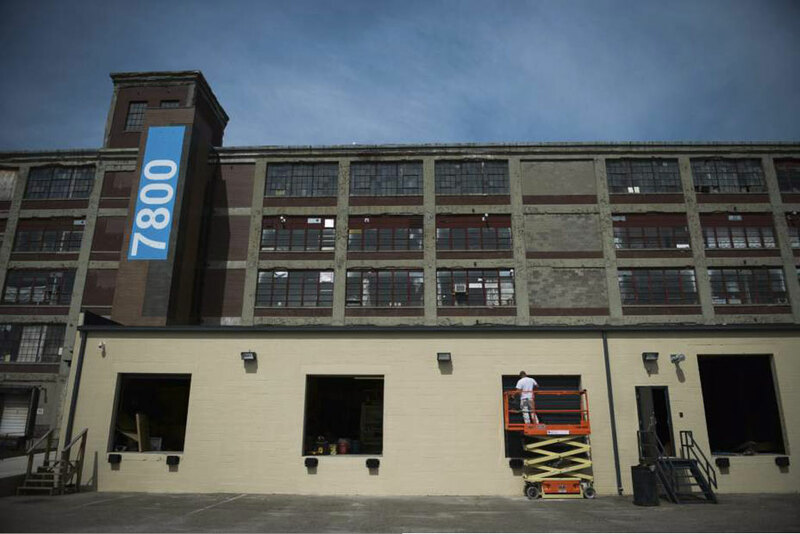 But starting Monday, the precision manufacturing training facility will begin training future Krajcis in a former Westinghouse warehouse in Pittsburgh’s Homewood neighborhood. MAC spokesman Scott Yeager said officials chose Homewood for two key reasons: its potential to help revitalize the impoverished area, and its proximity to bus lines and the Wilkinsburg park-and-ride station. “Our goal is to help more people realize that manufacturing is not dead in this region. If anything, there is a viable career path in advanced manufacturing in Pittsburgh,” Yeager said. State and local officials joined education, nonprofit and business leaders Friday morning to mark MAC’s relocation to Homewood’s Susquehanna Avenue. MAC will occupy about one-tenth of the renovated, five-story building owned by Downtown’s Bridgeway Capital. More than half the building is occupied, with tenants including tech startups, community groups and artists. MAC boasted a job placement rate of 95 percent in 2015, the center said. It typically trains 80 to 100 people a year, with each class limited to 12 students. Tuition for the eight- to 20-week courses runs from $5,500 to $17,000. Financial assistance is available. Last year, the center was closed for part of the year, so it trained only 30 students — but all of them landed jobs. The hiring companies included General Carbide Corp., Gupta Permold, Diamond Wire Spring, Penn Machine, Able Tool Co., Specialty Bar Steel and West Penn Testing. MAC’s efforts are part of a larger one by public officials, post-secondary institutions, K-12 schools and employers across the region to address an anticipated shortage in skilled employees as baby boomers retire in droves. Greater Pittsburgh’s workforce of about 1.2 million is losing about 29,000 baby boomers a year to retirement, said Linda Topoleski, the Allegheny Conference on Community Development’s vice president for workforce programs. “I’m still young enough to learn new things and help fill the gap when these guys are packing up,” Krajci said.